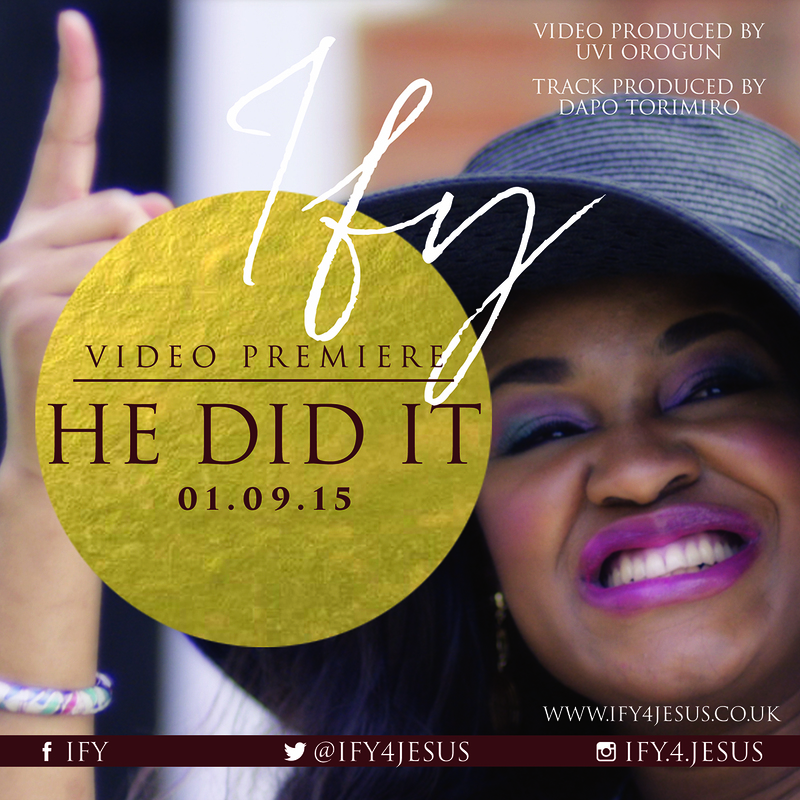 Stemming from her debut album ‘Be Magnified’, Ify Odugbemi known as Ify, will release her new album, POIEMA – God’s Masterpiece, October 3 2015 at Aberdeen, UK. This piece of work showcases songs that were birth with a keen motive to praise and worship God concurrently leading listeners to the Presence of the Lord. Indeed from birth, life experiences reveal that God and God alone must be praised and frankly, POIEMA testifies of the love and mercy of Jesus. Every track glorifies the Lord and these will sure orchestrate anthems in the Body of Christ globally. Some of the soothing and sensational tracks in this piece are ‘He did it’, ‘His mercies endure forever’, ‘You are God – Reloaded’ and several others. The single ‘He did it’ with its video directed by Uvi Orogun is officially released today, September 1 2015. ‘He did it’ is inspired from Acts 3:1-8, relaying the extreme joy expressed when Jesus turns around a seemingly hopeless situation. US based multi-platinum songwriter and record producer; Dapo Torimiro produced a great part of POIEMA. However, UK based producer, Evans Ogboi, grilled the ‘You are God – Reloaded’ track featuring Isabella and Evans Ogboi. The album will be available on iTunes and other online platforms and you can also get her previous album ‘Be Magnified’ through these channels.